Update 1.5 is now live! 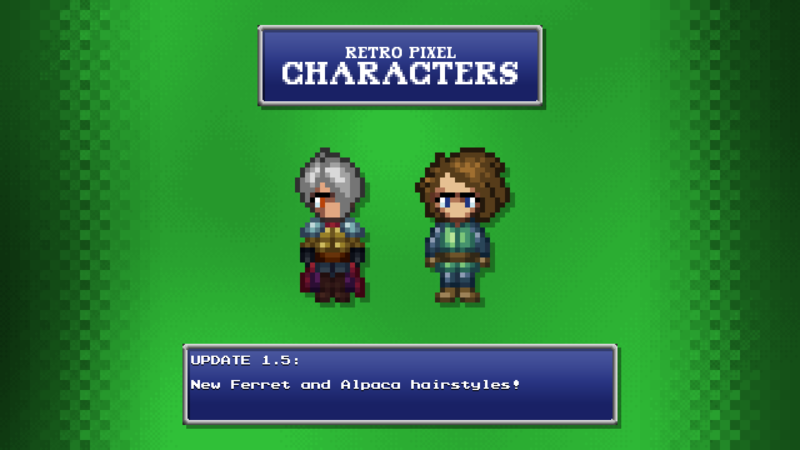 This update adds 2 new hairstyles: Ferret and Alpaca. Top-down, customizable characters inspired by classic, 16-bit JRPGs.